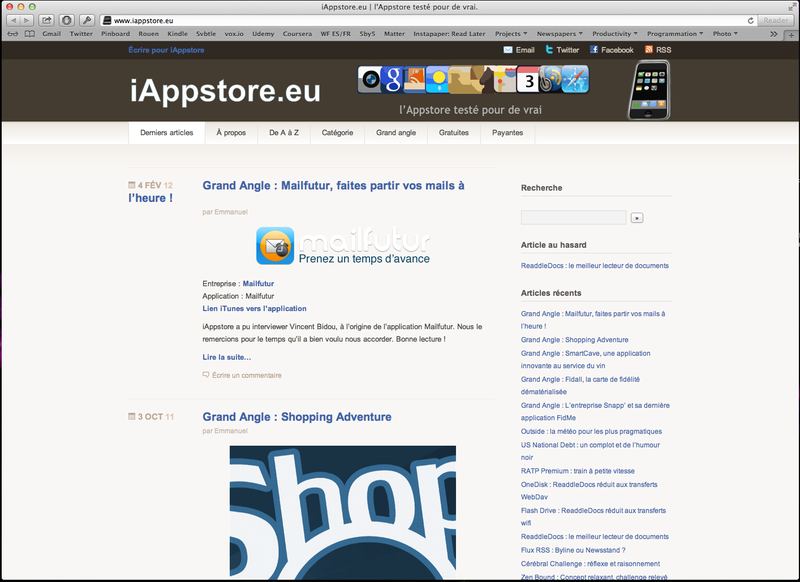 Back in 2009, when the App Store was just a few months old, I started a website called iAppstore.eu with a friend of mine (I know, it’s a terrible name). It was a sort of a directory with recommendations about the best app for something in particular. It wasn’t particularly original, but we thought people would save time and money by looking at our recommendations as most of the interesting apps were paid downloads. The iPhone was slow and heavy, the App Store was a brand new thing. But it was fascinating. Apple had created a brand new playing field overnight. There was no Instagram, Snapchat, WhatsApp or Uber. Independent developers were still experimenting, half of the apps were broken in some way or another and the App Store was a tiny place. Our little website got something like 15,000 readers per month. And we made hundreds of euros in the first few months with App Store commissions and a Google ad near the bottom of the page. It wasn’t anything groundbreaking, but it was a fun little way to make some money as a kid who didn’t want to work during summer break. This is probably how I learned that you could make money on the internet and ended up applying for TechCrunch years later. Very quickly, bigger websites started to get serious about App Store reviews, app prices dropped massively and our website faded away. I don’t think App Store commissions are a good business model and I’m glad I didn’t stay in this business for too long, but there are still a ton of small and big websites that rely on these commissions.